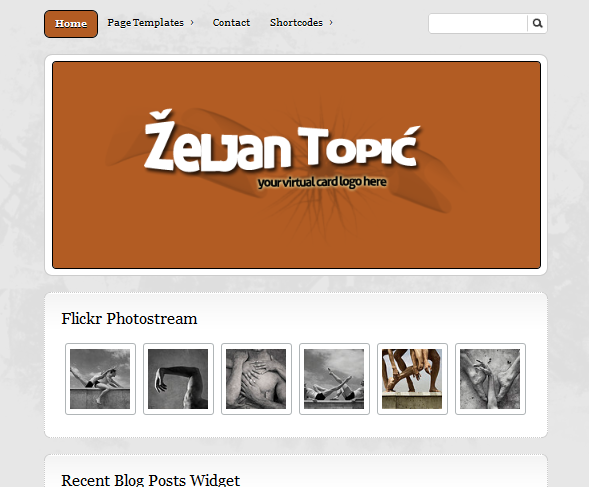 November 22nd in Premium Themes by Wordpress Jedi . WordPress is capable of handling some of the most complex websites. But sometimes you just want to keep it simple and use WordPress to promote your business or work. BizzCard is a simple, yet attractive WordPress theme for business professionals that lets them promote their work and services while keeping things simple in the process. BizzCard is the perfect solution for branding yourself and your business. It is social media friendly, so you can always count on Flickr or Twitter to keep your home page fresh and looking good. This theme does have 6 custom widgets for you to take advantage of. It also has a FAQ section, giving you the chance to answer some of the questions that your visitors may have about your service (has multiple templates). 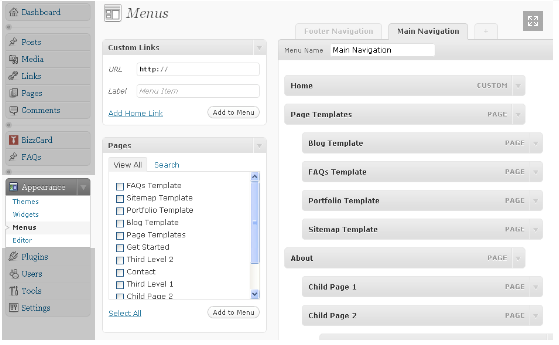 Users have many options to customize their navigation and side-bar. This theme does have custom widgets to help you enhance your website without touching your code. 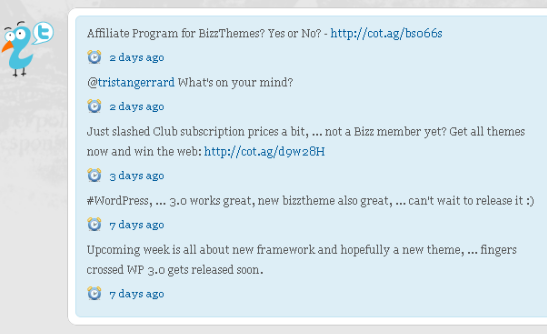 BizzCard is a very powerful theme for freelancers. It may not be super sophisticated but it does have everything one would need to promote a business. Great theme for mini launches.